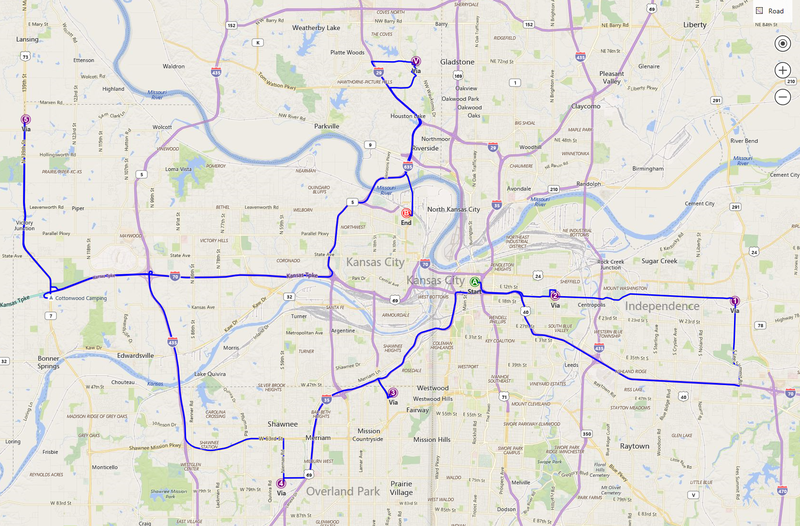 Home Development API Bing Maps Routing API knows the shortest route that visits all waypoints! Let’s look at a real-world use case to better understand the benefits of route optimization. Let’s say you run a delivery business in Kansas City. 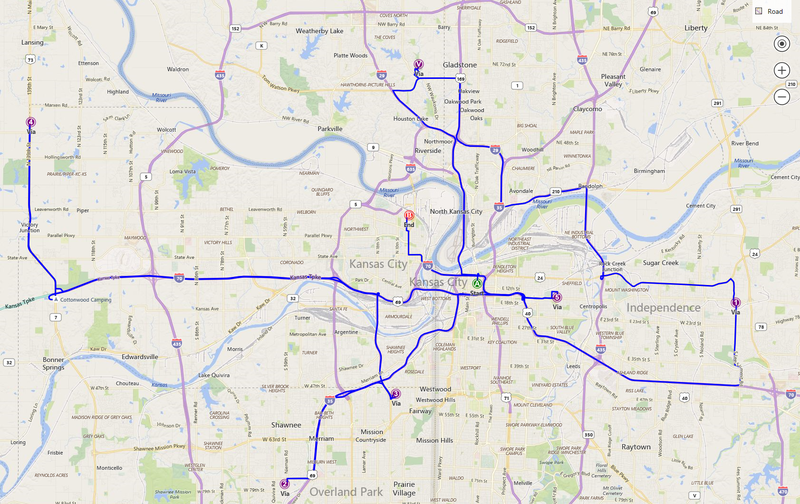 Your day begins downtown and ends in North Kansas City. Along the way you have 6 stops to make. 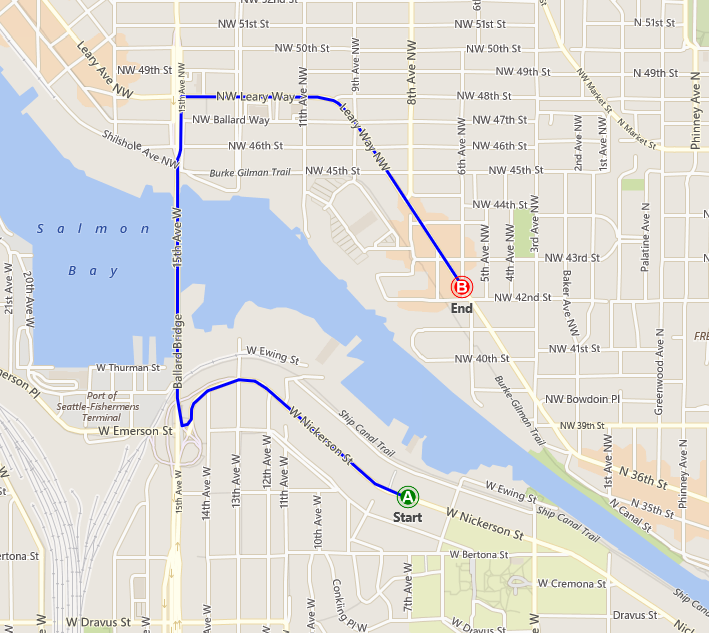 The Route shown here in the first map was calculated based on the order the stops were passed in. That’s 131 miles and 2 hours 54 minutes of driving. In the second map, we see the result of specifying the ‘optimizeWaypoints=true’ flag on the API call. Much better! We just saved 27 miles and 30 minutes of driving. Now you’re probably thinking, this is great, but how much is this added functionality going to cost me? Here’s the best news – there is no additional charge for an optimized route! Each API call to the routing service is 1 billable transaction, whether the optimize flag is specified or not. And that includes passing in up to 25 waypoints for optimization. For requirements of more than 25 waypoints, please contact Bing Maps team at [email protected].